but with a catch . . . 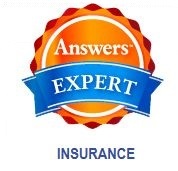 If you live in the Golden State, and you're not availing yourself of the services of Bill Halper, you're missing a bet: Bill's an extremely knowledgeable and ethical insurance professional, and you should be seeking him out to help with your life and health insurance needs. You may have noticed that I've updated the top post of our blogroll: instead of Insurance411, you see Bare Bones Health. This is Bob Vineyard's newest venture, and it evolved from his "Phantom Insurance" post here. Frankly, I think this is going to be big: in a sense, it's a quantum leap backward, but that's actually a good thing. The premise is that folks tend to buy too much insurance, and Bob's set out to correct that. Give it a whirl. Mr DeMille, Your Policy's Ready! "Most independent producers and even some big studios won't touch a film unless it's insured against potential problems including production delays from injured or incapacitated actors, bad weather, equipment breakdown or damage to essential elements of a film." "Independent films need to have these policies to land a different kind of protection, called a completion bond, that compensates backers if the movie doesn't come in on time and on budget. These bonds can account for an additional 2% of a film's costs" Who knew? So now I can't wait for the new action-packed epic, Indiana Jones and the Underwriters of Doom. PERSONAL UPDATE: Thank You to all our readers for your kind words and well wishes in the aftermath of my unfortunate accident. I had my surgery yesterday afternoon, and seem to be on the road to recovery (Percoset is good!). According to the trustees, Medicare's unfunded liability is $74 trillion -- five times that of Social Security. According to the Congressional Budget Office, health-care spending is on a course that could crowd out all other government programs. Clearly the time has come for fundamental reform. Pay medical providers less than they currently receive for services rendered. Now if the private sector follows suit, we can completely eliminate medical care inflation as well as renewal premium increases. Who knows? We might even see a Wal-Mart type rollback in pricing. Can't wait to see those yellow happy faces in doctors offices and hospital walls. Cavalcade of Risk #46 is up! Wenchy the Wise hosts this edition of the Cavalcade of Risk. Please check it out! We could use some hosts for April and May: please drop us a line to volunteer! Hungarian med student Bertalan Meskó, proprietor of Science Roll, presents a truly grand 'Rounds, with 4 dozen interesting entries, all with helpful context. At Diabetes Mine, Amy Tenderich has some helpful, albeit little known, info on our immune system. Advocates of state-run health care take great pleasure in pointing to "success" stories in, for example, Japan and Great Britain. One of their favorites, though, has been Norway. "State health officials are sounding the sirens themselves over a state of emergency in Norwegian hospitals' emergency rooms, where patients face lengthy delays, inexperienced doctors and often chaotic organization." The problems stem from inexperienced docs to long waits for staff and equipment. Perhaps more problemmatic is the dearth of monitoring of critically-ill patients and lack of clearcut procedures on how to deal with them. "I'm from the government, und I'm here to help you!" This plays out like a scene from one of those cop shows. It pits the big bad insurance carrier against the policyholder victim. In the middle of all this is the shyster agent. Just like the cop shows, this is played out in the media. This much we know. Health Net was fined $9M when a policy rescission went to arbitration. What we don't know is the rest of the story. A woman who had her medical coverage canceled as she was undergoing treatment for breast cancer has been awarded more than $9 million in a case against one of California's largest health insurers. On the surface, the action is reprehensible. Canceling coverage in the middle of a claim may seem harsh, but without all the facts it is difficult to say if the company acted in bad faith or not. "Word on the street" is, an agent was involved that failed to reveal all the details of the applicant's health. Rumor is an agent completed the application for the individual, and ignored (or missed) questions about pre-existing conditions. The applicant signed the application without reviewing (BIG MISTAKE). If true, the carrier correctly (and within their legal rights) rescinded the application on the basis of a fraudulent application. This argument would appear to be supported by this comment. Health Net also said it would review its practices and the way its brokers and agents are trained. Of course the carrier has other resources available to them other than the application to aid in underwriting. It is unclear if they availed themselves of these sources or not, but if not then they were definitely negligent on a contributory basis. The rescission appears to be legal but that does not mean it was right. UPDATE: After penning this article we found a new source that seems to give credence to the filing of a fraudulent application. According to the LA Times, Health Net had defended its actions, saying it never would have issued Bates a policy in the first place if she had disclosed her true weight and a preexisting heart condition on her application. Bates said a broker filled out the application while she was styling a client's hair on a busy day in her shop. She said she answered his questions as best she could. With this new information, it is possible the agent purposely left out damning information, or the applicant failed to fully disclose pertinent details. Regardless of where the fault lies, it is still the responsibility of the applicant to REVIEW the application before signing. The carrier also shares responsibility for using all available resources to underwrite an application. On the surface, it would appear the only way out was to rescind the policy and allow the courts to override the terms of the policy. Had the carrier allowed the fraudulent application to stand they could have opened themselves up to future lawsuits whereby anyone can file a fraudulent application then file suit if the claim is not paid or the policy rescinded. This was a catch 22 situation where either way, the carrier couldn't "win." Bates had been insured with another company but was persuaded to switch over to a Health Net policy after an agent suggested she could save money. There is nothing wrong with trying to save money, but ANYTIME you make a switch you need to understand the ramifications of leaving an old plan for a new one. Read the proposal and make sure you understand what is covered, what isn't before applying for coverage. Read the application before signing anything. Never make a change in coverage when you have a pre-existing condition without fully understanding the consequences. Read your policy when it is delivered. Most policy's come with a 10 day right to review & refuse the policy with a full refund. Never cancel existing coverage until you know you have been accepted by the new carrier and know the terms of the offer. Be wary of anyone who makes claims about their plan that seem too good to be true. Do not allow yourself to be pushed into anything without first doing a thorough review of all the facts. As Stephanie Ramage sagely points out, the clamor for universal health care is almost meaningless as long as the level of care is not diminished. On this, we will agree. In part 1 of a 3 part series, Stephanie refers to a recent study by the Kaiser Foundation and USA Today where "52 percent said universal health insurance coverage would have no effect—for better or worse—on the quality of the health care they receive." So IF we achieve universal coverage (unlikely even under the most liberal proposals) and IF we are able to make health care affordable (even more unlikely with all popular proposals) what good is that if the quality of care is diminished? Quality of care, especially when gleaned from patient interviews, is subjective and questionable at best. Those who were disappointed in the outcome, regardless of the circumstances, will almost invariably say that quality of care was substandard. Those who were pleased will praise the quality of care. That being said, let's look at some key issues raised by Sunday Paper. In places like Atlanta, we may have too many specialists in proportion to a relatively small number of general practitioners. Then there’s the crushing shortage of nurses. A shortage of PCP's (primary care physicians) is not indigenous to Atlanta. In virtually all metropolitan area's the same can be said. The reason for this is pure economics. For the most part it costs almost as much to educate a general practitioner as it does a specialist. The staggering debt of medical school is only slightly less than the debt incurred by a surgeon. However the earning power of a surgeon is several times higher than that of a PCP. A family practitioner will earn (on average) around $204,000 per year while a cardiovascular surgeon will earn around $558,000. If the cost of medical school is the same and the only difference in training is the additional years in residency (a paid position) then is it any wonder that med school grads are shunning primary care in favor of the specialties? Another so-called fault of the U.S. health care system is the dearth of E.M.R. (electronic medical records). Sunday Paper points out " doctors in the U.S. are far less likely than their counterparts in other developed countries to use an electronic records system that would allow them to see their patients’ histories with the click of a button, saving their patients a lot of hassle and saving the system a lot of money by not duplicating tests." One reason for this is government intervention. I can't speak for other countries, but in the states PHI (protected health information) is considered almost sacred. Your medical records are supposed to be a closely guarded secret that can only be shared with others with your written consent. The problem with EMR. is, how do you keep the records safe from prying eyes yet make the information available to those who need to know. HIPAA (which governs PHI) is an onerous bill with severe fines and even imprisonment for those who violate your rights. We are gradually moving toward EMR but the move is not quick enough for most. we can fix our system’s quality problems, and med schools and professionals all over the country are already taking the first steps toward doing exactly that—but to do that, we’ve got to make patients the center of our health care system. Patients (and their care) ARE at the center of the health care system but at the same time we must recognize that patients are not paying the bills. When 85 cents of every dollar spent on health care comes from third party payors (government plans, insurance carriers, etc.) they have some degree of influence on the type of care given. When patients pay the lions share of the bill they can and do have more say in their level of care. This is particularly true with concierge services. All in all the article makes an impression but relying on subjective data to form an opinion is risky at best. I do look forward to parts 2 & 3 of Stephanie's report. It will be reviewed and dissected on this blog. Significant goings-on up north. The Castonguay Report is released - see the Toronto Star. Significant also because the Castonguay Report recommends that Quebec adopt strategies that the evil American insurance companies use - - increase premiums (i.e., taxes) and reduce benefits (i.e., copays and deductibles). Predictably, unions fiercely oppose these strategies and meanwhile there is a shortage of doctors. Sounds familiar. But in Canada?? Well, now. The 2007 population of Quebec was about 7,720,000. Its $24 billion annual expenditure on health care is equivalent to $3,100 annually per capita. If U.S. federal health care spending were 40% of our budget, the U.S. would raise about $1.6 trillion anually to finance health care spending - - or around $5,400 per capita. So the Canadian per capita number seems 43% less than the U.S. number. Is so large a difference the result of superior Canadian health care management? Maybe it is. But what if not? What if, just maybe, this difference really measures how easily health care demand rises to meet the supply of money? What if, just maybe, it demonstrates that the American economy is able to supply substantially more health care per capita than Canada’s? And what if the difference mainly means Americans demand substantially more health care than Canadians? Might that explain, for example, the more immediate availability of hospital and specialty care in the U.S.? If the higher level of health care supply in the U.S. is bad, does that mean the higher level of health care demand is also bad? If so, who shall be punished for this? A few months ago, Mike wrote about similar efforts by the MVNHS©, whose providers overwhelmingly approved of (at least) the concept. The idea is to make it easier for folks to both access their own info and make that info available to healthcare providers. The major benefit of such a service is to allow providers real-time access to pertinent (and perhaps life-saving) medical info on their patients. Another advantage is that it makes it less onerous when folks need to recall their own medical histories when faced with, for example, an ER visit. There are some potential downsides, of course. Chief among these is the potential theft (or breach) of such data. We've all read the stories about stolen credit card info, and the risk is there for any electronically-stored records. Another concern would be "unauthorized" access to this data; by, for example, employers (or potential employers), or even insurers. As to the latter, I really don't see a problem: we've written before about the MIB, and this seems to me an extension of that tool. As to the former, well, that is problemmatic: what does one say if/when a prospective employer requests access? That's not so cut-and-dry. Still, rejecting new tech because of potential problems seems ill-advised. And the benefits seem genuinely, um, beneficial. And of course, one can't unring the bell: this stuff is already here (or on the way), so perhaps the discussion needs to be about the safeguards. I'm Sorry, Ollie . . .
Stan Laurel and Oliver Hardy are two of the most endearing comedy teams of all time. Their bumbling antics combined physical humor and lines delivered with the kind of timing & expression that can only come from professional comedians. Mid way through their adventure, the dialogue would almost invariably include Oliver saying "This is another fine mess you have gotten us in" to which Stanley would reply, "I'm sorry Ollie." It looks like the folks at Health Care for America have come up with another grand idea that fails to address the root issues. Supposedly their plan "would cover 99.6% of Americans and save more than $1 trillion in health care costs over the next 10 years." So how do the propose to save $1 trillion? The initiative calls on employers, individuals and the federal government to share responsibility for providing affordable, high-quality health insurance. How is it made affordable and how is "affordable" defined? I especially love the part about the federal government "sharing" in the responsibility. So who is really paying the freight on this? Employers, which means their customers are actually paying in to this system. And individuals count as taxpayers. Then we have the federal government's share. Which is funded by . . . taxpayers. So in other words, this new plan is funded by taxpayers. The government would administer Health Care for America as it currently runs Medicare, offering people a choice between a public insurance plan and a range of private insurance plans. As it currently runs Medicare . . . Does anyone who pontificates on these new plans really understand how Medicare works? Medicare is an under-funded, high utilization plan that rearranges the deck chairs by shifting more of the cost to the beneficiaries and medical providers. Every year the folks at Medicare decide what will be covered, what will not be, and how much they will pay. In many situations providers who accept Medicare beneficiaries must be willing to accept lower reimbursements than the year before. How is this such a great system? The biggest issue is this. How is all of this going to control the underlying cost of health care? This scheme proposes a different way of funding health care without addressing the underlying cost of medical inflation. Well this is certainly another fine mess . . .
Hard to pass up a sale, right? Advertisers pelt us with after this and before that sales. We have end of the year sales, holiday sales, going out of business sales, grand opening sales. And certainly not when it comes to health care. "The person who consumes the health care pays about $0.15 on the dollar. So who pays the rest? Health care is paid for by insurance, and insurance is paid for by employers or by the government." Is it any wonder we, as a nation, suffer from over-consumption of health care? This excess demand has as much to do with driving up the cost of care, and the resulting cost of insurance, as anything. Imagine how this system might work if transported to other industries? What if meals in a restaurant only cost $0.15 on the dollar? Would McDonalds go out of business or convert to white table cloth service? At the drive through you could order filet mignon, risotto, mixed green salad (dressing on the side) and a nice Bordeaux. You pay $4, your food insurance carrier pays the rest. Or how about a nice automobile? What would happen to Chevrolet & Kia? Why buy one of those when you can have that BMW you always wanted? Just $69 per month . . . your auto insurance carrier pays the rest. So tell me. Why does anyone want health care reform when we, as consumers, pay so little for care? Seems to me we need reform in auto insurance and the carriers need to develop food insurance policies. In my own defense, the polite and efficient ER doc informed me that there were four(!) other Y-chromosome types in the ER, at the same time, with comparable (and identically acquired) injuries. Regular readers know that we recently switched to an Aetna HDHP/HSA; this post (and perhaps one or two others) will serve as a real-life, real-time assessment. First, I was assigned my own room (complete with sliding-glass doors, ala Dr House). The admitting person came to me: she wheeled in a cart (complete with PC, HD monitor, scanner and printer) and got my vitals: insurance card, co-pay, mother's maiden name, grandfather's trust number, you know. She printed off the appropriate forms, stuck them in a clipboard, handed that to me, and said "sign here, please." I looked at her, then at my swollen and painfully mis-shaped wrist, and observed sagely: "you have to be kidding! " But she wasn't; she nicely told me to use my left hand and "do my best." So I scribbled something illegible, and handed it back (but not before my youngest stood up, examined the signature and exclaimed: "really, Dad, it's no worse than your regular handwriting." She's her mother's daughter). Then it was time for x-rays. But, they didn't wheel me to radiology, they wheeled the x-ray machine to my room! Wow. To no one's surprise, the x-ray confirmed a broken wrist. Great. And then came the question: do you want the on-call orthopaedic surgeon? Of course not. Dr Bob referred me to a pre-eminent hand specialist (at some point, I truly expect to be told "oh, I can't do that: you need a pinkie specialist!"). But that's another post [ed: well, we should hope so]. What I found so intriguing was the efficient (but not-impersonal) workflow: every person brought the supplies, equipment and expertise necessary for their task. I didn't feel rushed, but neither did I feel as if the wait was endless. At some point in the next few weeks, I'll receive my EOB (Explanation of Benefits) which will list all of the medicine that was committed upon me, how much the hospital charged for said services, how much the insurance will allow them to charge, and (finally) how much I owe. When it comes, I'll share it with you, along with the strategy we'll use to pay for it. Hank is enjoying his new toy and continuing to recover from his injury, so he asked me to fill in. Hopefully, he will live to regret it . . . In the meanwhile his injury is causing him to favor the left. I suppose a few weeks of therapy will move him back to the right. GoozNews hosts HWR this week. You will find a wide range of topics to soothe (or infuriate) the savage beast in you. There were several that caught my eye, including this from Health Business Blog concerning consumers and transparency. The debate goes on about the lack of good data for the consumer, which is true up to a point. The item that resonated with me is how few consumers really avail themselves of the data. We in the health insurance industry have dumbed down the health care consumer to the point that all they know is copays. Even when data is available, it is often confusing which perhaps contributes to the frustration. is going to be out of commission for a few days. Seems he injured himself trying to retrieve a prize from the giant claw machine. He should be off the meds in a few more days and back to his old self. I've introduced the No Discrimination in Health Insurance Act. This essential legislation will guarantee access to affordable care for every citizen in America by bringing an end to discriminatory practices employed by insurance companies who deny life-saving coverage to millions of Americans solely because of their pre-existing medical conditions. How does one define affordable? Of course Rep. Kagen is confusing health CARE with health INSURANCE. No wonder he misses the mark. Shouldn't health insurance companies be made to openly disclose all their prices, so everyone sees the lowest price for insurance policies? Apparently Rep. Kagen is not familiar with the internet. All one has to do is Google "health insurance" and they will instantly find a list of hundreds of sites where one can find pricing for all plans from a particular carrier or even multiple carriers. Like prices for gas at the corner service station or food prices in your closest grocery store, every citizen should have the equal opportunity to pay the same price for the same product. So is he going to end discrimination in food prices as well? Does that mean that bologna will now be the same price as filet mignon? no one -- rich or poor, young or old, anywhere in these United States -- should be denied access to affordable care. Affordable health care or affordable health insurance? Perhaps a remedial course in English is in order. Is. Rep. Kagen up for election? Miami Dade teachers are revolting. Their union reached a compromise with Miami-Dade Public Schools whereby a 13% increase in health insurance premiums would be passed on to employees. In January, after months of contentious negotiation, the district agreed to provide health maintenance organization (HMO) coverage at no cost to employees and lower premium rate increases for family coverage. But teachers and employees still objected to rate hikes that, in some cases, would consume the raises they negotiated last year. A "no cost" HMO option. Rate increase that will "consume the raises negotiated last year." This is the first time in 10 years the premium increase has been passed on to the teachers. You may hope someday to join them. It's been a while since we addressed transparency in health care. Very briefly, this is the idea that folks aren't aware, up front, of the costs of various procedures or medications. Although information regarding the latter is becoming more and more available, "regular" health care costs still remain somewhat murky. To an extent, this is to be expected: after all, there are many carriers and many plans, and providers themselves often have little (if any) idea how much a given procedure or exam will cost. "A new Twin Cities company called Carol is trying to change that with a Web site that gives consumers a "care marketplace" to search for medical services, compare quality and price and make appointments." The company, founded in 2006, enables patients to access a variety of information about cost and availability, as well as quality of care. The site looks a lot like a shopping portal (complete with a graphic of a woman with a shopping basket). The metaphor is clear, if unsubtle: shop for health care as you would for milk and eggs, pants and shirts, a new car or DVD player. "But Dr. Sidney Wolfe, director of Public Citizen's Health Research Group, said the site is nothing more than advertising, and he hoped it wouldn't catch on. "Among physicians, there's a belief that health care is too critical ... to be left to the usual marketplace," he said." Methinks thou dost protest too much, Doc. Like it or not, you (and your colleagues) are in the business of delivering health care. While that may not seem particularly glamorous, and perhaps shows less deference than that to which you're accustomed, it is the truth. There are all kinds of health information resources available (from WebMD on out); don't you think your patients have already figured that out? "If the site becomes more comprehensive, Carol.com would be most useful to people with high-deductible plans, health savings accounts or those without health insurance, said Elizabeth Boehm, an analyst with Forrester Research who studies the health care customer's experience." As proponents of such plans, we've made this case many times over the years: it's your money, after all, shouldn't you spend it wisely? Still, it's nice to be validated. I think psychiatrist Ronald Groat summed it up best: "Carol is important because it makes health care "more visible and transparent to someone who's looking for help." One of our very favorite bloggers is Joe Kristan. Despite the obvious handicap of being an accountant, Joe has insightful and often cutting-edge posts on tax-related issues. And sometimes about gummint meddling. In brief, Hawkeye State governor Chet Culver is taking aim at the health insurance market with a variety of problemmatic ideas. One of them seeks to address the challenge of folks coming off group plans and finding little or no joy in the individual marketplace. The Gov's idea is to require carriers to offer cover to folks with pre-existing conditions. Joe correctly adduces that this will serve to increase costs to everyone, especially if carriers are forbidden to rate up such applicants. I tend to agree, but I'm intrigued by the concept. After all, one of the goals is to get (and keep) more folks "in the system." It's always bothered me that HIPAA does a reasonable job of this when moving from group to group, or even individual to group. But it's silent as to folks going from group to individual cover, and I think that's a problem. As I mentioned at Joe's, as long as the carrier is able to "rate for the risk," I think this idea has some legs. Some of the Governor's other "solutions" are less attractive, but make for interesting reading. It is always interesting (to me at least) to read stories of people who are "stuck" in limbo without health insurance. Numbers and horror stories are thrown out as a reason for overhauling a system that works for 85% of the population. One story came across my radar about a man in Augusta, GA who has tried for 16 months to find health insurance. Alan Venable says he has tried to find health insurance but can't. "I'm pretty sure it's because I'm single, a single source of income for them. They claim preexisting condition, but I don't think they want to write policies for single individuals." The carriers CLAIM a pre-existing condition, yet Mr. Venable seems to challenge this by deflecting the argument away from any health condition. His argument as to why carriers are denying his coverage? They don't want to write single individuals. That's odd. I live in Georgia and have quite a few single policyholders. Mr. Venable's claim is even substantiated by the reporter. Obviously, he wants health insurance, and is willing to pay for it. Venable has no major medical problems, but he's being told, time and time again, by the insurance companies, they will not sell it to him. Mr. Venable is willing to pay. He has no major medical issues. Carriers refuse to sell him a policy. I am going to call Mr. Venable in an attempt to find out the REAL truth. 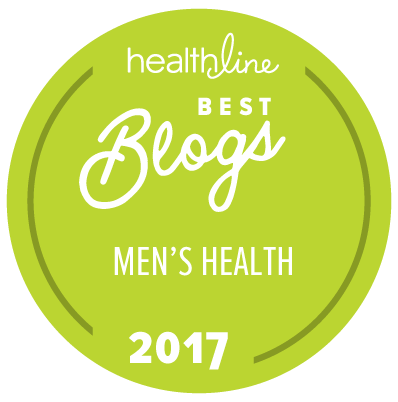 You'll find the best of the medblogs over at Daily Interview. There are over 2 dozen posts presented in 10 categories, all with helpful context. We haven't talked much about alternative medicine here, but How to Cope with Pain has an interesting post on the efficacy of herbal pain meds. At a meeting I recently attended, one of the speakers threw out a couple of "buzz alphanumerics" (these are like "buzz words," but different): 412i and 409a. Neither one of these are brand new, and both of them relate to the use of life insurance in defined benefit deferred compensation plans. Whether qualified or not, deferred compensation plans are a valid, and valuable, way to accumulate additional dollars towards retirement. By "putting off" (deferring) taxable income today, one hopes to enjoy greater purchasing power with those dollars in future years. Qualified Defined Contribution plans, such as IRA's and 401(k)'s, offer immediate tax relief, but come at a price: limited access, special rules, an uncertain tax future, to name some baggage. One is also limited in how much one can stuff away in such plans: the gummint determines how much can getted socked away, and has special rules for highly compensated folks. Such plans are essentially defined by the amount one may contribute, thus the term "defined contribution." Non-qualified plans, on the other hand, don't have such handcuffs. About the only real limit is the amount one is willing to sock away into them. There are variations on these plans, of course, but they remain relatively burden-free (for the most part). The biggest obstacle has usually been the pocketbook. Since one is limited by practicality, these plans are essentially defined by the amount one can contribute, and so it becomes a "de facto" defined contribution-type plan (although I'll quickly point out that's a characterization, and not a definition). These typically use life insurance policies as the accumulation vehicle, for a variety of reasons. 412i plans fall under the rubric of "Defined Benefit Pension Plans," which lay out how much a given person will receive down the road. Based on that person's age (and other demographics), he may be able to put in much more cash, much more quickly. The downside, of course, is that it works best in small companies, and requires some big cash commitments. And because it's based solely on permanent life insuance plans, there's not much flexibility. 409a isn't a plan, per se: it's a (relatively new) section of the code relating to how defined benefit plans (and their funding vehicles) are taxed. You didn't think Uncle Sam was going to ignore the potential bajillions [ed: a highly technical accounting and actuarial term] of dollars that could conceivably be tucked away in such plans, did you? The new law was officially signed in October of 2004 as part of the American Jobs Creation Act. "The new law imposes restrictions on funding, distributions, and elections to participate in the plan. While recent IRS guidance (IRS Notice 2005-1, as revised on 6 January 2005) provides some transitional relief, immediate changes to many compensation arrangements are necessary." Still, these plans remain an attractive and effective means towards growing retirement income. If you're interested, you'll need at least two resources that you know and trust: an accoutant, an independent insurance agent, and someone to handle the administrative end (I know, that's three). The Financial Blogger presents this week's Carnival of Personal Finance, with over 80 entries. On the one hand, there's plenty to choose from, and posts are broken into a handful of categories. On the other, it's really just a big list of posts; relying on the titles is helpful, but somewhat hit-or-miss. I did find one thought-provoker, though: Tina, at Money Smart Life, recently discovered (to her chagrin) that one's credit rating can affect one's insurance premiums. Thus far, this phenom has affected primarily the P&C side (although most life insurance applications also ask whether or not one has filed for bankruptcy). I've previously discussed this with a P&C pal, and I'll see if I can get him to do a guest-post on the topic. ■ In the past few days, we've been linked by both Reuters and Fox News. ■ We're ranked by Wikio as the Number 3 health-related blog (see new sidebar item). Interestingly, we're also ranked by Wikio as #770 in the "General" blog category (out of almost 35,000 tracked), which puts us in the Top 2%. "New York Attorney General Andrew Cuomo plans on Wednesday to announce the launch of an industrywide investigation into health-care insurers, his office said." Wow, an industrywide search. Pretty impressive (if a bit overwhelming). And what's Mr Cuomo's beef with insurers? "Attorney General Andrew M. Cuomo today announced that he is conducting an industry-wide investigation into a scheme by health insurers to defraud consumers by manipulating reimbursement rates. At the center of the scheme is Ingenix, Inc., the nation’s largest provider of healthcare billing information, which serves as a conduit for rigged data to the largest insurers in the country." Oooh, "rigged data!" Nothing loaded about that phraseology, is there? The issue is how folks are covered for non-emergency out-of-network care. Traditionally, reimbursement rates for these services are paid as a percentage of "usual and customary" (UCR). And who decides what's UCR? Well, apparently Ingenix does. Which raises an important, if impudent, question: so what? Someone has to set these rates, else what's the benchmark? And imagine the hue and cry if the carriers themselves did so. Kind of a "darned if you do..." scenario. According to the company's website, over 1,500 insurance companies and health plans utilize these services (that number's important: it represents the vast majority of carriers). Interestingly, over 200,000 health care providers also use this service. Wonder when Mr C's going to investigate them? And since he apprently doesn't think that little effort's going to take some doing, the Empire State's AG plans to sue one of our favorite targets, United HealthCare, for allegedly engaging in "deceptive practices." And what practices are these, you may wonder? In order to rein in out-of-network costs, UHC chose to "keep their reimbursements artificially low and force patients to absorb a higher share of the costs." A higher share of the costs for choosing to go out of network? Heaven forfend! For its part, UHC (in an email I received this morning) says they use such tools "to set their own reimbursement schedules, establish fees for non-network care, negotiate provider service contracts and review claims for their members and consumers." Seems inocuous enough to me. But then, I actually favor consumers being more proactive, and taking more personal responsibility for their health care and how it's financed. UPDATE: Bob sent me this link to an LA Times article which reports "City Atty. Rocky Delgadillo has assembled a team of investigators and prosecutors to probe industry practices such as canceling patients' coverage after they get sick." This is of a piece with what Bill has written about recent efforts in this area. Suppose They Gave a War . . . This line was repeated during the Viet Nam war era. The intent was to raise awareness about the peace movement. The idea was, at least in theory, if one nation decided to declare war on another, and no one showed up to fight, would peace break out? We have a war going now on the health care front. One could even take the line from the 60's and ask . . . Suppose you had a medical bill and no one wanted to pay it for you? Carriers are the fall guy for the so-called health care crisis. Yet the numbers don't lie. Fully 85% or so of the population is covered by some form of health insurance. About 40% of the population is covered by taxpayer funded programs (Medicare, Medicaid, etc.). Most of the 15% that are classified as uninsured are eligible for taxpayer funded plans but for reasons unknown, have not availed themselves of this "free" coverage. About a third have incomes in excess of $50,000 which means (in most cases) health insurance is affordable. Another statistic that recently came to light is somewhere between 35 -39% (according to a study by Aetna) are between the ages of 18 and 35. (This is a market Aetna, and a few others, have decided to target). This is the so-called invincible crowd that thinks nothing will ever happen to them so they opt to go naked. But back to the premise of this post. Suppose you needed medical care and there were no insurance carriers. How would you pay your bill? You can be a deadbeat like many but the system can only hold so many before it collapses. You can liquidate assets but who wants to do that? And depending on the situation, you may still run out of money. Those who say the government should take over health care funding really have never taken a serious look at just how poorly the government manages the money we already give them. At least with carriers there is accountability. To whom is the government accountable? How long do you think IBM, Coca-Cola or United Healthcare could stay in business if each year they SPENT more than they took in? I am not talking about creative accounting to make it SEEM like they lost money. But rather they actually had to go to banks and investors to BORROW millions in dollars to cover the money they spent. Yet no one questions the viability of government on the federal level (or even state & local) and holds them accountable. If the government spends more than they took in, and no one notices, did they really run a deficit? One of their conclusions, which should surprise exactly no one, was that such a diet leads to a higher risk of liver damage. What was surprising, however, was that the subjects' "healthy HDL cholesterol actually increased" during the month-long experiment. "State Farm has been sued for racketeering in New York with a claim that it conspired with "Independent Medical Exam" companies and medical practitioners to produce fraudulent and sham medical reports." The idea was to generate false medical reports in order to justify cutting off (legitimate) claims. If true, I would judge this to be far worse than AG Cuomo's silly vendetta against UHC. As they say, read the whole thing. "Los Angeles County healthcare officials unveiled a draft cost-cutting plan Wednesday that calls for closing all but one of the county's dozen clinics and reduces services at its six comprehensive outpatient health centers." "On paper, it looks like they're trying to achieve savings without cuts in services, but the numbers leave more questions unanswered," opines community activist Yolanda Vera. Last year, you may recall, the dreadful Martin Luther King Jr.-Harbor Hospital was shuttered, after at least one person bled to death waiting on help that never arrived. Unfortunately, this left a void in the system, which other gummint-run providers haven't been able to fill. "Officials said they plan for private, nonprofit clinics to step into the gap and provide care to most of the displaced patients for a lower cost than the public system." Watch out for that little phrase, "nonprofit:" contrary to popular belief, this doesn't mean "at a loss." Someone has to pay for these services (of course, physicians could just do it for free, though, right? ), and guess who these "Officials" have in mind? "Under the plan, the county would then spend..."
As we know, "counties" don't actually have any money to spend; they collect taxes from their citizens and redistribute those funds. Last year, my better half bought me a GPS for my birthday. It's very cool, very helpful, very convenient. I have the voice set to "Female, British," which may be somewhat masochistic, but it's also kinda fun (I call her "Monique"). It's not a high-end unit, but it certainly gets the job done. That job, of course, is to help me get from Point A to Point B in a reasonable amount of time. But could it do more? "A variety of navigational, wireless and sensory devices now allow insurers and authorities to track where you drive, how far, how fast and how well. In return, drivers, parents and employers are saving money on their insurance premiums." "These devices have the potential to track you wherever you go, and the question is, who is going to have access to this data?" So asks Guilherme Roschke, Skadden Fellow with the Electronic Privacy Information Center. His concern (which is shared by others) is that the technology that can give us quick directions, insurance discounts and enable worried parents to track their teenaged divers can also give us mileage taxes, and potential loss of 5th amendment rights. Safeco, for example, offers discounts to parents who install such devices in their teens' vehicles. And Ivox (an Atlanta-based company that works with commercial insurers) "has been using GPS units equipped with sensing technology for commercial fleets to monitor driver behavior." This can help lower fleet insurance costs. As is so often the case when looking at new tech, there are no clear-cut answers. For now, I'll probably just keep my low-end, portable GPS unit in the glove-box when not in use. Hope that's okay with Monique. One of the memorable scenes from the Wizard of Oz occurs towards the end of the movie. Dorothy & friends are addressing the Great Wizard after completing the task of bringing the Wizard the broom belonging to the Wicked Witch of the West. In the midst of all the smoke and flashing lights Toto grabs the hem of a curtain and reveals a man pulling levers and speaking into a microphone. To many, making heads or tails out of the true cost of medical care is every bit as much of a mystery as the Great Oz. The consumer has been confused by copays, coinsurance, deductibles and more. What should be fairly simple is in fact made complicated. Health insurance is the only form of insurance that contains copays. Your auto coverage doesn't have a copay for tires, brakes, oil changes or wiper blades. So why does health insurance come with confusing copays? The truth is, copays are expensive and totally unnecessary. Once you look behind the curtain you can find out, usually within a few dollars, how much a procedure is going to cost you and your carrier. If you want to know how much a procedure will cost, you can get an idea by using a few tricks readily available to the public. Step 1 - Get a procedure code from your doc or an online reference. Say you are going to have a vasectomy. The procedure (treatment) code is 52601. Step 2 - Call your carrier, or use an online source to get the Medicare allowance for the procedure. If you are using Medicare guidelines, you will see that the allowance is $812. If you are not on Medicare you will want to multiply this figure by 1.5 to get a rough estimate of what the allowable charge will be by your carrier for the procedure when performed by a network provider. That means your cost will be somewhere around $1206 if you have a high deductible plan. These are rough estimates but will get you in the ballpark. Navigating the world of health care does not have to be a mystery when you know where to look. Cavalcade of Risk #45 is up! Jaimie at Paid Twice hosts the Valentine's Day Eve edition of the Cavalcade of Risk. With over 2 dozen interesting posts, you're sure to find something sweet. We could sure use some hosts for March and April: just drop us a line to volunteer! OK, this probably should be Stupid Client Tricks #2, but in all fairness, Matt Horn (a frequent contributor) did tell us (in his comments) about something one of his clients did that definitely qualifies for SCT #2. Last year a client asked to buy life insurance. Now I should tell you that I do not sell life insurance, but I do respond when someone asks to buy. That being said, I took his information, secured quotes from multiple carriers and made my recommendation. From past experience I have learned to notify clients in advance that final rates on life insurance can vary widely depending on final lab results. Long story short, I quoted a rate of $601. Once his lab results came back the carrier moved him from a preferred rating to standard due (primarily) to a highly elevated cholesterol reading (294). The resulting premium increased to $1198. He argued, saying the readings were off and wanted a recount (so to speak). I suggested he go to his doc and have the test repeated. If the new readings were significantly lower we can appeal. He grumbled, gave me a check for the premium difference. A few months later he asked me to look into health insurance for him as his COBRA was ending. (In reality, his wife was my client but he was involved in all the discussions for her coverage). I asked about his cholesterol and what meds he was taking. He told me his doc told him to change his diet and that would be enough. However the health insurance carrier disagreed. They asked for doctor records only to discover his doc had told him to take a cholesterol lowering medication and come back for a check up in 3 months. He failed to follow doctors orders and his application was denied. He emailed me, complaining that his renewal life premium had doubled from $601 last year to $1198 this year. Since it was a 15 year term policy this was impossible. Also, I had copies of last years application, quote, initial premium, amendment rider and check for the additional premium. I sent all this to him and reminded him of the scenario. I told him I would be glad to shop his plan again this year if his cholesterol was lower. This morning I got his response. "I want a new agent your fired. my did my premiums go from $601.00 to 1198 per year. was this a switch and bate." Apparently his mind was made up so there was no need to confuse him with the facts. Health insurance is a hot topic these days. Politicians and voters are asking for change. Perhaps what we need instead of a change in the health care delivery & payment system is a change in attitudes by consumers. The story of John's misadventure is given as a primary reason for universal health care. John is a well-informed investor who has bankrolled a small amount of money into a five-figure nest egg including a new home bought with 20 percent down. His wife had worked for the same company for 20 years. Her employer provided a health insurance program that included an employee contribution of $250 per month per family. John's wife was promised a new job available in six months. Because her current employer got wind of the move, she resigned. Their health insurance was "tied" to her employment. She voluntarily quit her job, and simultaneously voluntarily "quit" her health insurance. John, who never had a health problem, was stricken with kidney cancer during his wife's period of unemployment. He has had two surgeries with one more in the offing. His bills total more than $140,000. Never had a health problem. Many view this as a justification to go naked (no insurance cover). John's health problem materialized while his wife was unemployed. Going without a paycheck is not an excuse for going without health insurance . . . especially when one has a "five figure nest egg". The new health insurance plan and any other plan available exclude his pre-existing condition. John has become despondent and depressed. A new individual major med plan would simply deny his application. However a group plan cannot exclude him forever. Had John been wise enough to secure cover while his wife was voluntarily unemployed a new group plan would have been obligated not only to include him but cover his pre-existing conditions. So we must now rely on the government to save us from ourselves. Patients are finding it increasingly difficult to find a PCP (primary care provider). There are many reasons but most revolve around economics. PCP reimbursements are so low that many cannot cover their overhead. PCP's earn less than any other physician. At the other end of the scale are anesthesiologists, neurosurgeons and radiologists. Recent med school grads are shunning primary care in favor of a specialty. A small percentage of existing PCP's are moving to a cash only basis or establishing concierge practices. All of this is occurring while demand for PCP services is increasing. This is especially true in states where health insurance mandates are being rolled out. According to the Massachusetts Medical Society, nearly half of all internists aren’t accepting new patients. For Bay Staters who are lucky enough to have a doctor, the average wait for an appointment is now over seven weeks. As the state moves hundreds of thousands of the uninsured into the health care system, retail clinics can reduce demand on over-burdened providers. Hundreds of thousands of uninsured's moving in to the demand side of the market. Mandated coverage + the promise of free or heavily subsidized coverage is pushing demand for PCP's. The good news is this creates a market for the walk in clinics. Approximately 55 percent of customers who seek care at Wal-Mart’s clinics are uninsured, with 10 percent to 15 percent reporting that they would have otherwise used the emergency room. We have been proponents of the walk in clinics for a long time for many reasons. They are convenient, affordable and deliver a high level of care within certain parameters. Retail clinics show how the lure of profits creates opportunities for competition and quality care at an affordable price. We don't see clinics totally replacing the need for a fully staffed PCP but their business model seems to be a hit. Seems like every time politicians gear up for the election the manure gets spread around with great ease. Say anything, just to get elected. The current topic du jour seems to be the economy and health care on the national front. Here in Georgia we have our own politico's promising everything short of free happy hour. The latest salvo comes in the form of a News Release from our current (elected) insurance commissioner. The memo starts out "Recently I have had new legislation introduced . . . (which will result in) increased scrutiny (of health insurance carriers) and require them to JUSTIFY their rates." What is wrong with requiring carriers to submit supporting documentation regarding their rate structure? Nothing, but it won't accomplish anything that isn't already happening in the free market. Health insurance carriers do not operate in a vacuum. A carrier cannot simply wake up one day and decide they want a bigger home office and double bonuses for everyone and pass that on to their clients with impunity. To do so would make them UNCOMPETITIVE which would result in LOWER revenues. Just the opposite of what was intended. Back to the stables . . .
"These bills are an important first step in bringing health insurance costs under control." Nothing in the memo is addressing the underlying COST of health care. Rather the legislation is an attempt to actually drive up the costs by creating an extra step in the rate making process. "House Bill 923 and Senate Bill 380 will bring much needed sunlight to the health insurance rate making process and makes sure that health rates are in line with market realities." So what is he smoking? Rates are ALREADY in line with the market. Does anyone really BELIEVE this garbage? "The bills further benefits Georgians by increasing competition in the individual marketplace (by requiring carrier who sell group insurance to offer Georgians) at least two (individual) policy options)." So carriers who are in the group market now will either (1) exit that market or (2) comply with a product that meets the letter of the law. Many carriers purposely avoid the individual market because they do not have the staff to serve that market effectively. Plus requiring a carrier to offer a product in one state that is not offered in other states is not feasible. So the end result will be fewer carriers in the Georgia group market. Will someone please tell me why these bills are a good thing? Oh yeah. So someone can get elected. There is a pony in there somewhere. In a nod to history, health care lawyer and consultant David Harlow presents this week's Grand Rounds as a sort of "Valentine's Day through the ages." It's a great effort, with almost 3 dozen roses, er, entries. We've blogged before on the case of the anonymous Texas blogger(s) taking on the mean ol' hospital. Well, health care lawyer (and fellow medblogger) Bob Coffield has the newest developments, along with some in-depth analysis. A certain "documentary" released last year praised the superiority of (among others) the Canadian health care system. Anyone is entitled to care at little or no cost. Perhaps Crystal Gaudet will disagree. Crystal is 21 years old and has cancer. Her specialist suggested a PET scan. Only one problem. PET scans are currently accessible to patients in a number of provinces including Quebec, British Columbia and Manitoba. But in Ontario, the scan is only available in clinical trials and is not covered by the Ontario Ministry of Health. Only available in clinical trials and is not covered by the Ontario Ministry of Health. This is a treatment that normally costs about $2,500 but because of the family's low income in this case, Gaudet said they were eligible for a reduction in the cost to about $1,360. What happened to free health care for everyone? A private foundation to assist low income people who are not fully covered by the government (taxpayer funded) plan. If the Canadian system doesn't fully cover low income people, then what happens to the middle class? One of my groups recently switched from a moderate-deductible co-pay plan to a High Deductible Health Savings Account plan (HSA). For many years, they've had a Flexible Spending Account (FSA), which the employer seeded with $250 per employee. That was essentially a $250 gift certificate for health care. When we switched to the HSA, the employer kept the FSA (as well as the $250) in place, and also "seeded" the HSA with another $260 per year. That's over $500 of "free" health care, courtesy of a very generous employer. Of course, this just isn't good enough for some folks. That way, you see, he could put himself and the kids on her plan (why he couldn't just add the kids to hers is a mystery), and teach that mean ol' employer a lesson. 'Course, it cost him the $500+ in FSA and HSA contributions, not to mention the premium subsidy, but he certainly made his point. And it only cost him $40 (cash only!) for the license. Madison, blogging at My Dollar Plan, hosts a spectacular Carnival of Personal Finance this morning. It's a bit overwhelming: over 90(!) posts, in 16 categories. Wow. I always like a good bargain, and free is usually a great one. Fire Finance tells us that Bill Gates & Co are offering "free hosting, a free domain name along with free access to MS Office Live Basics for small businesses." Good deal! Tax time is coming up. Got proof of insurance? If not, you may be in for a surprise. If Heather Mizeur gets her way Maryland residents will have to show proof of health insurance when they file their tax return. The Support the Kids First Act when passed will deny certain tax exemptions to taxpayers if they cannot provide proof of health insurance for their children. We see stats like this all the time, but it never gets any press. A high percentage of the 47M uninsured are children, many of whom qualify for existing, taxpayer funded plans. This is a law we can get behind. 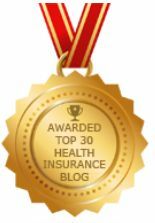 It's encouraging - though not all that surprising - that other commentators, especially health care professionals, share one of InsureBlog’s key insights – that health care cost is the primary driver of health insurance cost - and therefore the more fundamental issue demanding attention is the cost of health care. I also agree 100% with the physician's second point - the need to revitalize primary care belongs at the center of any strategy to better manage the care Americans receive. And beyond that, I believe improvements in managing care will result in better management of cost. However, I'm doubtful that these changes will occur anywhere near as rapidly as even the present technology makes possible. My doubts spring from a belief that widespread and determined physician leadership is necessary to realize positive change - but we have not seen such leadership for at least the past 40 or so years. As I occasionally say, Moses found the way out of his Wilderness in 40 years. Yeah, health care may be tougher. But, still . . .